In my previous post “Office Ergonomics: Why Sitting Will Kill You” I discuss the physiological adaptations that your body experiences when spending long hours sitting. (See also “Another 1,001 Reasons to Avoid Sitting“) This post builds on that and explores some healthy approaches to sitting which will help minimize the negative effects. Figure 1. 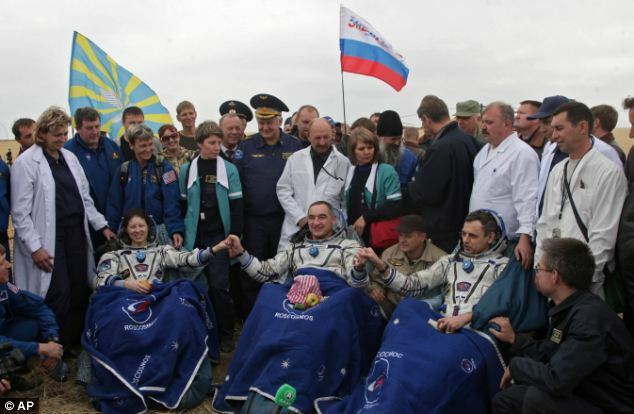 NASA astronaut Tracy Caldwell Dyson and Russian cosmonauts Alexander Skvortsov, and Mikhail Kornienko, Sept 26, 2010. 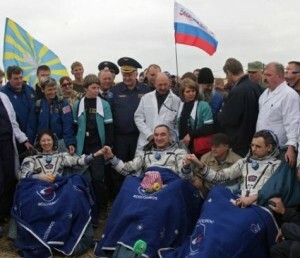 The micro-gravity of space has left their bodies weak. Why is it so important for astronauts to exercise while they’re in space? If astronauts don’t exercise, their bodies start losing bone and muscle. Bone and muscle loss mean decreased size and strength, and can reduce an astronaut’s ability to do work because it makes them weak. Weakened astronauts would be less able to do tasks while in space, Hagan says. Also, if there were an emergency, the astronauts would need to be in good shape to get out of the Space Shuttle or Space Station quickly. Once they land on Earth, weakened muscles and bones would make walking difficult. Gravity is your friend – it keeps you strong! If you remove the requirement to exert yourself and engage your body by using supports such as back rests, your body will naturally adapt and become weaker. Instead of following this downward spiral of weakness we can practice Active Sitting where we learn to engage and move our muscles while sitting. To do this in a healthy manner we will need to address Alignment, Motion, and Physical Conditioning. The first alignment principle to understand is that the tilt of your pelvis has a direct impact on the curvature of your spine. If your pelvis is in an upright neutral position, it is very easy for your spine to hold itself upright – this is how we have evolved to move through the world. On the other hand, if your pelvis is tilted backwards, then your spine must curve strongly to keep your back upright and your head up (Figure 2). This takes effort and will exhaust you quickly. Figure 2. (A) It is easiest for the spine to support the upper body when the pelvis is in a neutral upright position. When the pelvis is tilted forward (B) the lower back strains to keep the body from collapsing forward. We often unconsciously reduce the strain by using external support, such as leaning on our elbows. (C) When the pelvis is tilted backwards we need to engage our core, like holding a sit-up, to keep from falling over backwards. Since this is tiring, we often use backrests to stay upright, causing our bodies to weaken. Sadly, many chairs, even “ergonomic” ones, are designed such that your pelvis tilts backwards and throws your back into the backrest. Chairs that naturally tilt backwards further exacerbate this tendency. Granted, these chairs feel comfortable because they naturally force you to depend upon the support of the backrest, and that is relaxing. But, as discussed above, such dependence upon support will lead to atrophy and deeper dependence. You want a chair that naturally holds your pelvis in a neutral upright position and makes it easy to hold your spine up. This will make it easier to sit up without continual use of the backrest, enabling your back to stay active and strong. In fact, a backrest should be exactly what its name implies – a tool used to rest your back when it is tired, not something that you use continually the entire time you are sitting. So, when you are looking at a new chair, look to see that the seat pan is flat and does not cause your pelvis to tip forward or backwards. Likewise, if a chair is too low and your knees end up higher than your hips, it will be very hard to sit without back support. Thus, you want a chair where your knees are even with, or lower than, your hips. Some chairs have sculpted seat-pans which combine a flat section for the pelvis and formed areas for the legs making it easier for the knees to be slightly lower than the hips without the chair cutting into the back of the legs. This is a good design feature, but has to be properly fit to your body size. Figure 3 An example of slouched sitting. Notice the rounded back and thrust forward head. Dont sit like this. 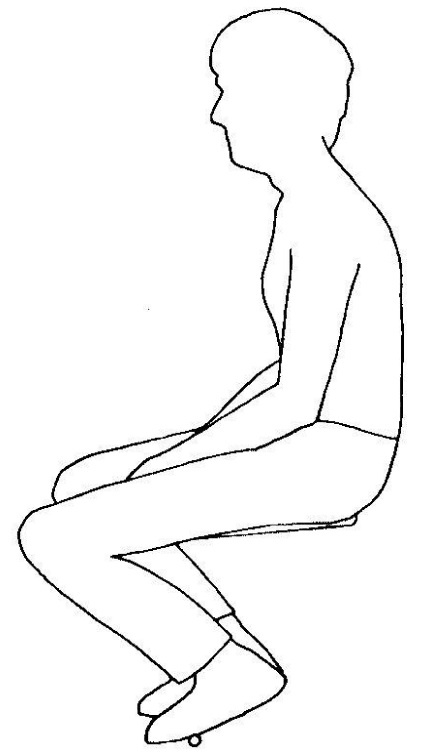 A short page on finding a neutral pelvis for sitting. The rest of this site contains more useful data about healthy posture and is worth exploring. And finally, remember that if you are sitting without a backrest it is essential to maintain a good posture! If your head is forward and/or your back is rounded (Figure 3), you are putting unhealthy strain on your body. In my previous post about sitting I discussed the changes to your muscles which occur when you sit in a static position. Your body actively lays down collagen fibers and glues muscles together – a process which is reversed by keeping the muscles in motion. In general, this is a smart thing for the body to do because muscles that are not actively being used become more rigid and thus require less energy. Yet when we sit in a static posture all day, we end up with glued together rigid muscles that do not serve us well when we try to stand up and walk around. It is also worth remembering that our brain has primarily evolved to coordinate motion (“The Brain is For Motion”), and staying active keeps us alert and mentally engaged with our bodies. Active Sitting helps avoid tight muscles by keeping our body dynamic. Instead of passively relaxing into a backrest, or rigidly holding a static “correct” pose, Active Sitting is about staying in motion all day long. When our pelvis is upright we are well balanced and free to move our body as we work. I often find myself moving and dancing in my chair slightly as I work and listen to music. Once I lean back into my backrest or lean forward onto my elbows, I notice that I move less. Such small motions may not look like “exercise,” but they do have a significant impact on our health. Primarily these motions keep our muscles dynamically active – engaging and relaxing, and lengthening and shortening – a process which keeps them from binding up and turning off. We can take this approach one step further by intentionally destabilizing the surface we are sitting on and requiring our body to actively balance and dynamically adjust its posture the entire time we are sitting. The easiest way to do this is by sitting on an air filled sitting disc . When sitting on these discs your body actively tries to keep your head level (to simplify vision processing) by constantly adjusting and balancing long chains of muscles to compensate for your weight shifting with each motion you make. Using a sitting disc can turn the simple act of rotating your head into a full body action, engaging muscles all the way from your head to your feet. It is this type of dynamic engagement that keeps our muscles alive and active! There are many air-filled exercise discs out on the market and I have tried a few of them. The first ones I used were intended for standing balance exercises, such as this one. While they were a good place to start, I found that they were not wide enough for my seat and were too tall. I eventually found the 15” sitting disc from FitBall , which has been my favorite disc so far. It is wider, so my sit-bones fit on it, and has a lower profile, which is ideal for sitting. I have also recently found an even wider sitting disc – the 24” disc from AeroMat – which I think would be great for larger folks like myself (I’m 6’6” tall), but I have not yet tried it. Finally, some friends have spoken well of the Fitter First 15” Sitting Disc. When I first started practicing Active Sitting, I would try sitting without using my backrest for 30 minutes or less. Like any new sport, you have to train and condition your body for the activity. Besides simply building up strength and endurance in your back and core muscles, it is likely that you will have to stretch and lengthen muscles that are chronically tight from years of passive sitting. 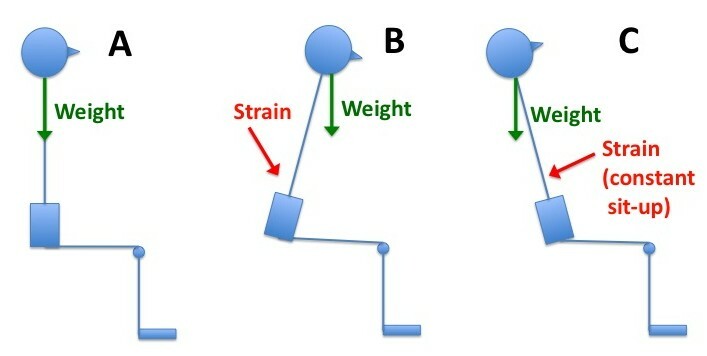 When I started my hips were too tight and my pelvis would stay rotated backwards making it difficult to sit with a neutral pelvis (See Figure 4 and discussion in my previous post). Until I was able to loosen my hips and legs enough to find a neutral pelvis, I found it very hard to sit without back support. 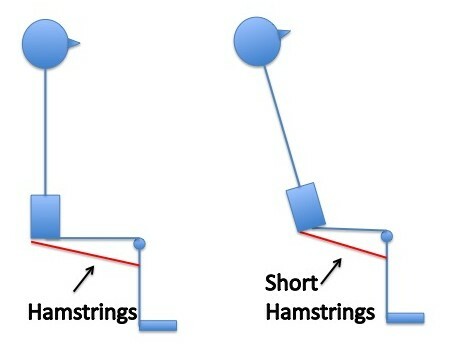 Figure 4 Short hamstrings contribute to tight hips and limited flexion. This combination of short hamstrings and limited hip flexion can pull your pelvis into a backward tilt, making it difficult to sit with a neutral pelvis -- even in the best fitting chair. Even now, after many years of Active Sitting, I still find that I get tired and cannot sit all day without using a backrest. So, don’t feel like you have to be able to do this for eight hours straight – that is really challenging! My solution is to have a variety of different ways to work – from standing, to sitting on a tall saddle stool, to sitting on a regular chair with a sit disc, to simply collapsing back into the backrest and resting while continuing to work. Whenever I feel myself becoming tired of one pose, I switch to a different one. Sometimes I just lay down on my back on the floor to relax for a while. It is worth remembering that this is a life long practice with many interdependent aspects. You cannot simply rip the backrest off your chair and suddenly find freedom. You need to start with the body you have today and figure out what is the best path forward for you. Despite all the problems with atrophy and dependence that supportive devices cause, they can be the right short term solution. When you break your leg, using crutches is a good idea. Doctors will try to get you back to weight bearing as quickly as possible so that your leg muscles do not atrophy – a quick process that happens in a matter of weeks! The same is true of back support. If you are in crisis – if your back is actively in daily pain – you may need better support in the short term. The key is to understand that the support is not the long-term solution – it is only useful to help you while you initiate the strengthening and healing process. Ultimately, the right solution is to have a strong, flexible, and active body, and to use equipment that helps you stay active, strong, and in good alignment. The process of strengthening and healing your body after a life time of sitting is a complex topic beyond the scope of this post, but which I hope to discuss in detail as I continue to write. The good news is that it is possible! Our bodies are amazingly adaptable and will adjust to a change in our daily patterns. The more aware and knowledgeable we are of our bodies, the better we can be at healing ourselves. But even with lots of knowledge and physical conditioning I have found that I sometime need further help and have gained great benefit from regular bodywork such as chiropractic adjustments, massages, and acupuncture. Finally, I’ve benefited from active physical training by excellent teachers I have found in the Anusara Yoga community and a number of physical therapists I have worked with. For a short introduction to alignment principals of Anusara Yoga, and how the physical practice relates to our mental and emotional lives, see my previous post “Melt Your Heart”. So, have fun regaining use of your body while you sit, and I will follow this up with more posts on saddle stools, sit-stand desks, and many more tips for staying healthy while working. Tagged with alignment, anti-gravity, anusara, bodywork, chair, collagen, ergonomic, ergonomics, exersise, human motion, motion, NASA, pain, pelvis, sitting, spine, walking. I wholeheartedly agree with your last two blog posts. I use a standing desk, tented keyboard, and vertical mouse at work and it helps a lot! I find that while standing I’m dying for some elbow support while typing. Not sure if I should just keep at it and build up the muscles, or get a set of edge-mount elbow supports. I find it much easier to work standing if I’m not typing and just mousing around doing research. I tried sitting on an inflatable exercise ball for a week, and at first it felt amazing. It also encouraged me to roll around a little all the time while working just because it was fun. However, after awhile, my lower back was killing me, even when I only did it for 30 minutes a day. But this doesn’t happen to everyone, so if you haven’t tried sitting on an excercise ball, you should. If you are really wanting elbow support, my suspicion is that your desk is too high and you are having to reach up to get to the keys. Try lowering the desk and raising the monitor (to compensate). I’ll cover sit-stand desks soon, and talk about the tricks get the alignment set well. I work and type standing all the time and have no desire for elbow support. Again, I suspect it is an alignment issue more than a “strength” issue. Regarding the exercise ball — awareness of alignment is really key! If you end up sitting on them with your back rounded out (which is very easy to have happen, especially once your core tires), it is very easy to beat yourself up. As I suggest, it is wise to start slowly with these new approaches and both train up your body and observe and pay attention so that you can be aware of what alignment works best. Once your lower back is locked up, like you experienced, you have to stop completely for a while in order to get the muscles to relax again. 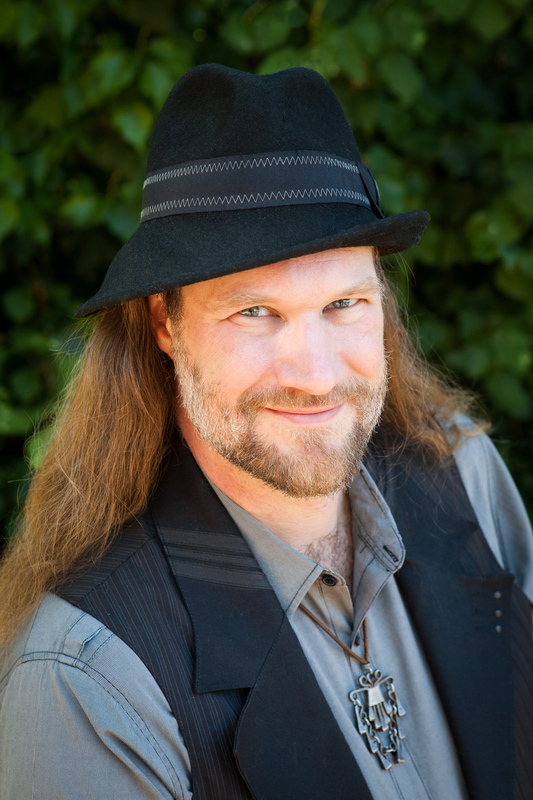 Thanks again for your comments, and I’ll keep writing — I have many more ideas to share! thank you vytas! i’m so proud to know the person who is working on this. : > i want to try the sitting disc! I’m inspired to work on this because I hope all my friends will by physically fit and able when we get old together — all the better to still be dancing and having fun when we are 80 if we don’t ruin our bodies by sitting all day! Admiring the commitment you put into your blog and detailed information you offer. It’s awesome to come across a blog every once in a while that isn’t the same unwanted rehashed information. Excellent read! I’ve saved your site and I’m including your RSS feeds to my Google account. Excellent information thank you. I looked you up while trying to work out the right measurements for a new lounge I’m hoping to build next week… I just sold the old one as lovely as it is and expensive, it just gives me nothing but pain and now I see exactly why. I’ll build the new one to support me at 90 degrees… 2 questions… What about using an ottoman with the sitting chair? And what happens to your body when you lay down on your side on e sofa to whatch tv? I have a humanscale pony saddle seat, as I didn’t want to pay near a grand for a saddle chair with the salli. Now, I did pay $300, but is it really needed? Can I not get this quality for cheaper? This article is very useful and true. I was using a proper chair with a neutral seat pane for years. This seat was not encouraging me to use backrest – hence I had no problems with my muscles at all. After a while I changed to a “better one” with all the features. Suddenly I noticed that my body weakens and I have tight muscles and hence I cannot sit actively anymore. I changed back to sitting without a backrest and it helped. You have to be aware that switching from passive to active is as a trip over a mountain. You need to properly observe your body and asses which parts may require some training – ex. stretching or strengthening (ex. stretching hamstrings) – this is very important because it helps to “go over this mountain”.